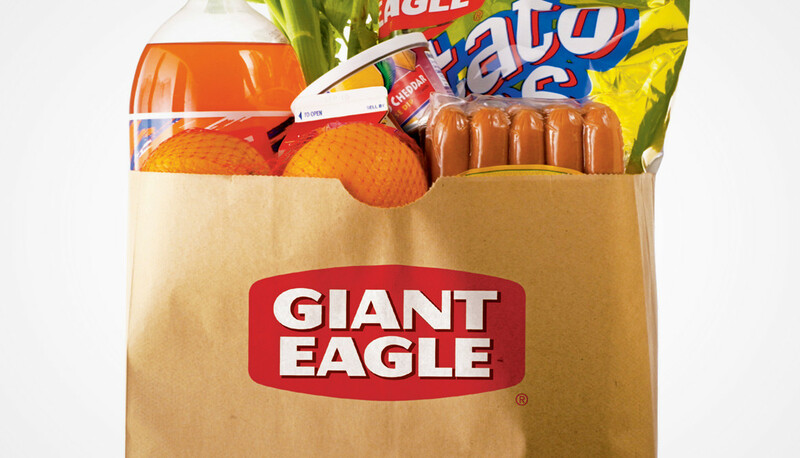 As one of the leading food, grocery, and pharmacy retail brands in Pennsylvania, Ohio, Maryland, and West Virginia, Giant Eagle trusted BD&E to assist in the management of its parent brand and dozens of in-store department brands. BD&E developed a web-based identity management program and an internal campaign to promote the new online identity tool. Core to the success of adoption by the Giant Eagle team was the development of a “Brand Management Kit” that was distributed to store managers and key vendors. 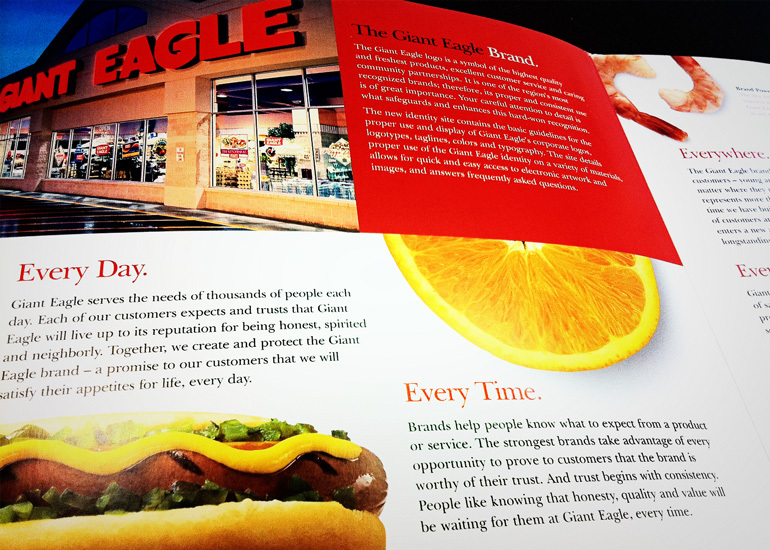 The kit serves to reinforce Giant Eagle’s commitment to maintaining the integrity of its brand. 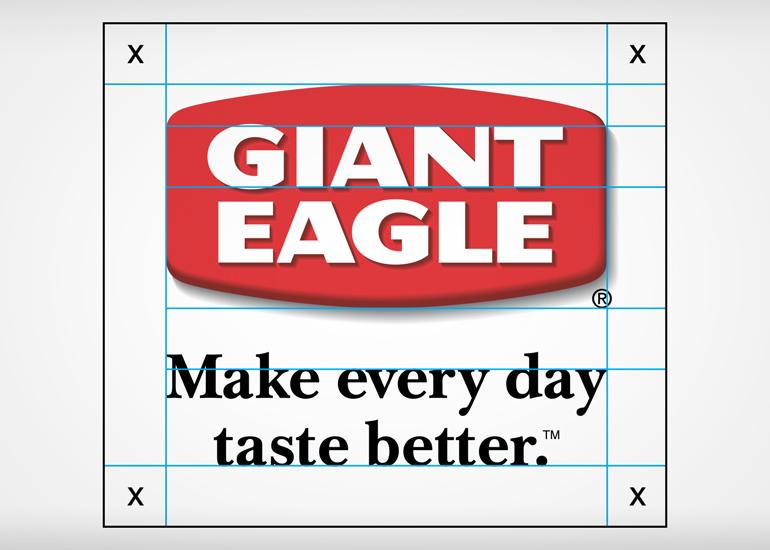 Giant Eagle turned to BD&E for help in managing its new brand identity. We developed a prepackaged “Brand Management Kit” that was distributed to store managers and key vendors. The kit was the essential ingredient needed to help reinforce Giant Eagle’s commitment to maintaining its brand. Promotional items and a demo of the new brand standards website gave key employees an understanding of how important consistent use of an identity is in protecting the power of Giant Eagle’s growing brand.